When you have 3 small people who are close in age the key thing at weekends/holidays is getting out and about. When they were younger we had annual zoo passes and local castle passes. We used to go ALL the time, literally every week, whether it be me taking them on my own in the week or altogether at the weekend. My advice is to use them to the point of boredom! As much as you think you’ve seen enough kids will always see it in a new light. It still amazes me the joy the kids can get out of a local park and going on a slide over and over. Don’t just use them on sunny days either…use them at all times of the year, embrace the bad weather. My favourite visit to the zoo was the last weekend before Christmas. Everyone else must have been at the shops or keeping warm but we wrapped up warm and had a lovely day in a practically empty park. It was brilliant. We’ve found when we have a pass and it runs out we think we’ll leave a few months before we renew. We need a break from going for a bit and then in the break we find something else to invest in instead. So when we were worried about using it too much we probably could have used it even more. We haven’t been to the zoo for years now. In February we took the plunge and invested in Merlin passes. It’s a lot of money to spend in the tightest month of the year, but we are going to embrace it! 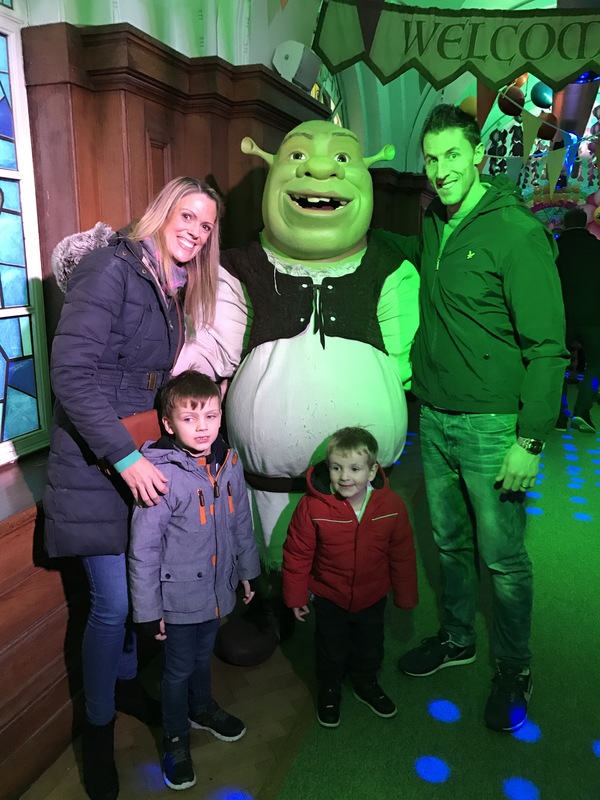 We’ve already been to the aquarium, eye and Shrek experience in London then Steffan took the kids to the zoo part of Chessington in February half term whilst I was working. This weekend is passholder event weekend at Chessington so we are going on Sunday for the rides being open for the first time. It’s supposed to rain which is annoying but we’ll still go. We plan to use it in each of the holidays as well as on any Sunday where we don’t have plans and the weather is ok. We can’t do Saturdays as the kids have all their activities. I know we aren’t really saving money in terms of we wouldn’t normally be spending £40pp on a theme park every weekend but every time we do go we aren’t spending money doing something else. I am ruthless about not spending money when we are there! I just won’t do it! Instead we take packed lunches everytime. It was easier when we had a buggy to pile everything under but I’ll even walk back to the car to get the bag if it means saving £20. I’m going to keep a record of all the times we go so we can work out how much it would have cost at the end. I’m such an accountant! I just love being out and about…when we are at home other things distract me like cooking and cleaning but when we are out we spend the entire time with the kids learning more about them and what makes them happy. Nothing makes me happier than seeing them happy. Previous Hotel rooms that cater for a family with 3 children in the U.K……mission impossible!